Heat butter in a pan, saute chopped garlic and dry red chillies. Add white part of chopped spring onions and saute for a minute. Add cooked rice, green part of chopped spring onions and crushed pepper and mix well for 2-3 minutes. 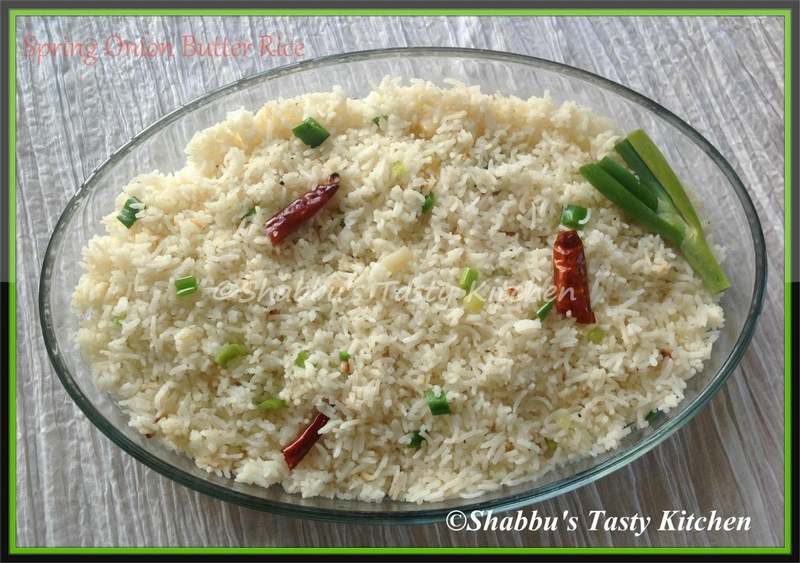 super simple rice that we can side with any simple dishes like dal too...right shabbu! A prefect rice for a family get together, love with some spicy chicken fry. Very flavorful rice. A must try recipe. Shud have been very flavorful..
full of butter flavor.. interesting.. Delicious neyichoru. Love the flavor of spring onion. Wow!! Delicious rice and so flavourful too!